Why toss away that leftover margarita salt when you can use it slough off a long day? We've got you covered in preparation for National Relaxation Day. Chances are you already have all of the ingredients in your pantry. How easy is that? 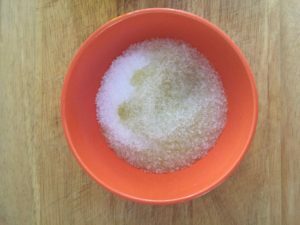 Measure 1 cup salt into a small bowl. Add 4 tablespoons olive oil to salt. Pour in 3 tablespoons tequila (and if you feel so inclined maybe a couple tablespoons into a glass for yourself...#perks) to the salt and olive oil mixture. Slice and juice 2 limes. If you've got one of these handy-dandy juicers that fits right over the bowl, sweet! If not, juice separately and then combine. Stir to combine. Separation is normal so don't panic if that happens to you! 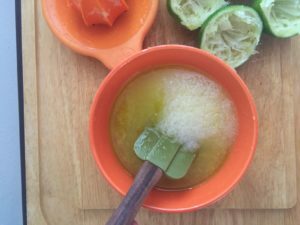 Slather on your homemade margarita salt scrub and relax the day (or night) away in the tub or shower! Afterwards, store any extra scrub in an airtight glass container like the one below. 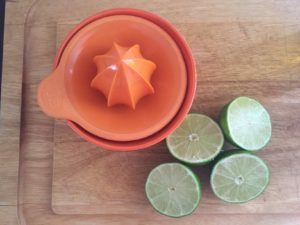 A few pro tips: If you find the margarita salt too rough, try using a finer salt for a less abrasive scrub. Also, use this scrub BEFORE shaving, not after, as it might burn! Benefits! The salt exfoliates dead skin. 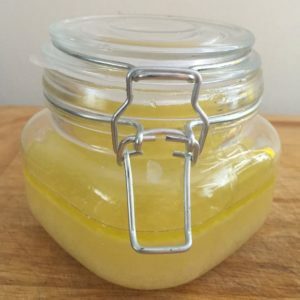 Extra virgin olive oil moisturizes skin. Tequila and lime juice cleanse skin. If tequila wasn't your favorite alcohol already, you've got a whole new reason to love it. Enjoy!